For more than a century, stockings have been stuffed with Doscher’s French Chew. The sticky taffy bar was created by Claus Doscher, a German immigrant, in the early 1900s and remained almost entirely unchanged until 2009. 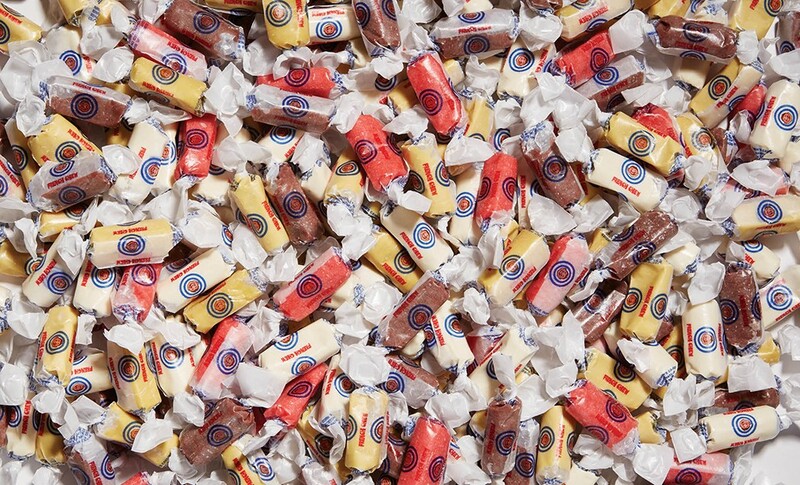 That’s when Doscher’s introduced the French Chew Minis, a bite-sized version of the taffy. “Everything today is sour,” says Greg Clark, president of Doscher’s Candies. “Ours is a classic.” When he says classic, he means it. Doscher’s still makes taffy at their downtown shop—just blocks from the original location—using Claus’s original copper kettle and recipe. When production started on the Minis, they resurrected a machine from the 1940s that had been stowed away in the basement. Those antiques now churn out roughly 1,000 pounds of taffy a day. Most of that thousand pounds comes in vanilla—the only flavor available until 1939—but Clark says that banana has eclipsed chocolate and strawberry as the second most popular choice. And so, the momentum continues. “We’re excited to move forward and make new products,” Clark says.